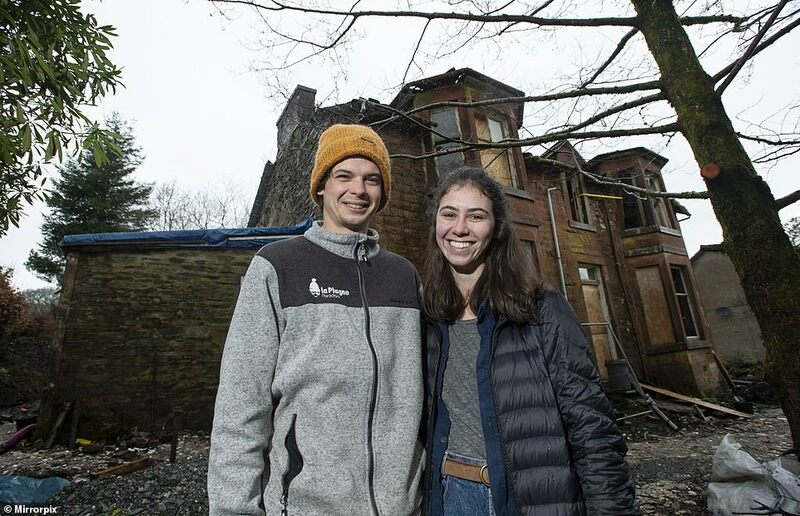 A couple who bought a derelict 120-year-old mansion at an auction by mistake due to a mix-up with lot numbers have fallen in love with the building and are now restoring it. 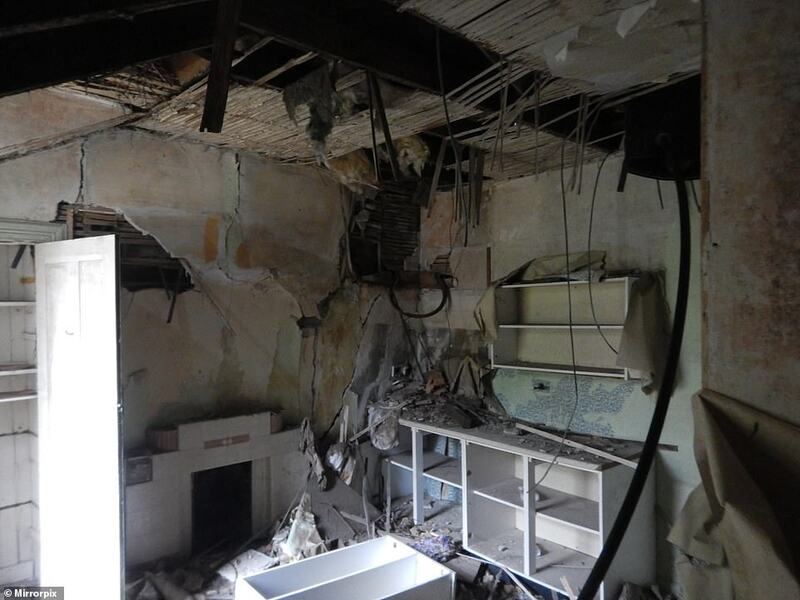 Cal Hunter and Claire Segeren planned to buy an apartment in Glasgow for £30,000 but ended up with Jameswood Villa in Dunoon, Scotland which has a leaking roof, subsidence missing floorboards and no windows. 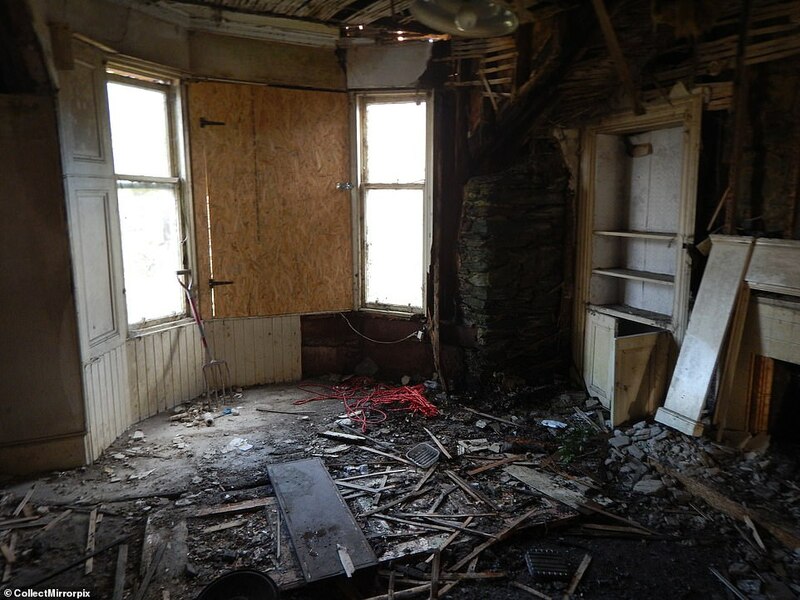 Cal, of Hull, East Yorkshire, attended the auction alone while Claire was in Canada, and accidentally bid on the partially collapsed property listed immediately before the apartment because he didn't realise it was being sold in three lots. 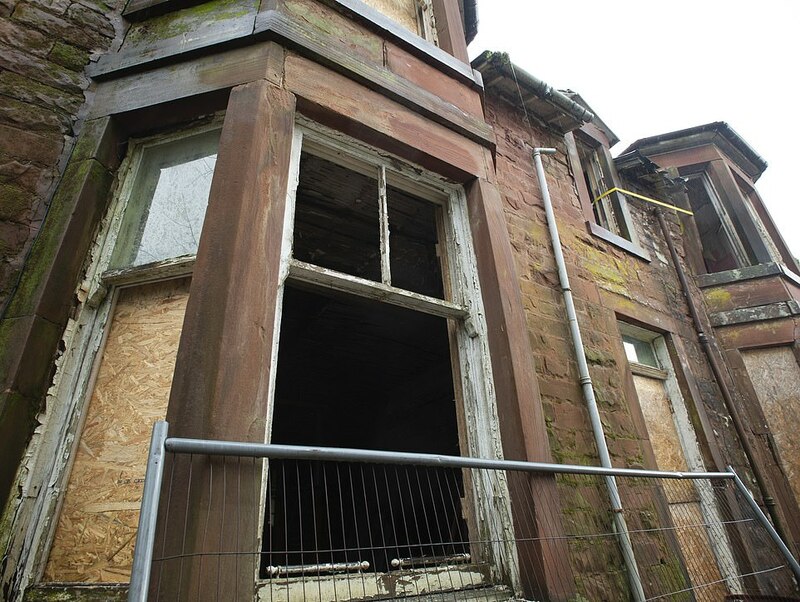 But the couple insist Cal's gaffe was a 'beautiful mistake' and since last November have been restoring the building - despite local residents and councillors telling them they should demolish it and start again from scratch. 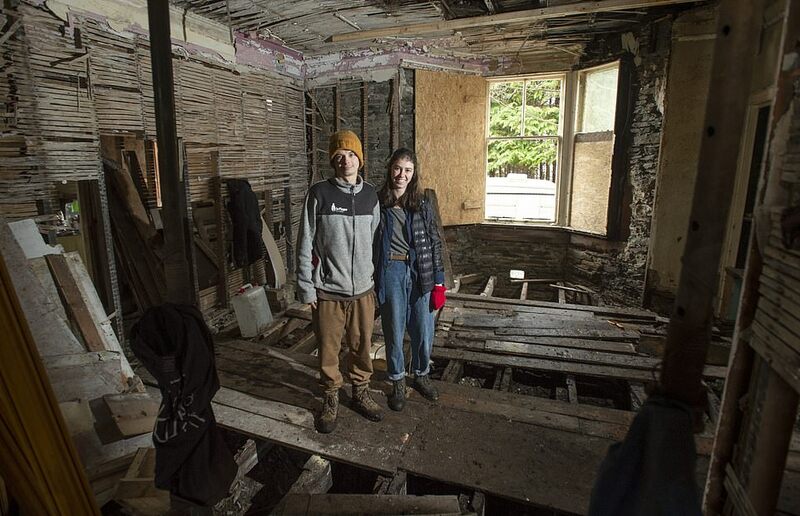 The pair plan to transform it into three apartments, two of which they will sell to pay off their mortgage - and are getting help from their friends to complete the project. 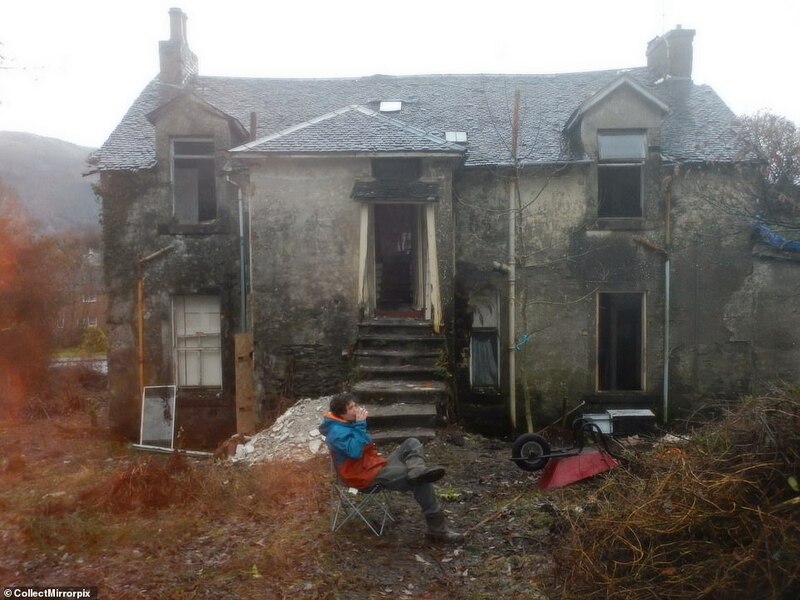 Cal, 26, from Hull, told the Daily Record: 'We love the house and its stunning location in a village on the edge of a Scottish loch. It's all been a beautiful mistake. She added that discovering they had bought the crumbling house instead of a two-bed apartment came as a shock - but the couple's despair to to relief when Cal saw the property for the first time. The cash-strapped couple plan to sell off two of the apartments to pay off debts. The apartment the couple had planned to buy in Glasgow had been fire-damaged but they thought they could restore it in six months. While they transform the mansion they have moved into a small caravan in the garden. 'Neither of us are from Scotland so we had to look up Dunoon on the map and we were both relieved to see it wasn't that far from Glasgow. 'But our relief turned to despair when Cal pulled up outside the house and saw it for the first time. 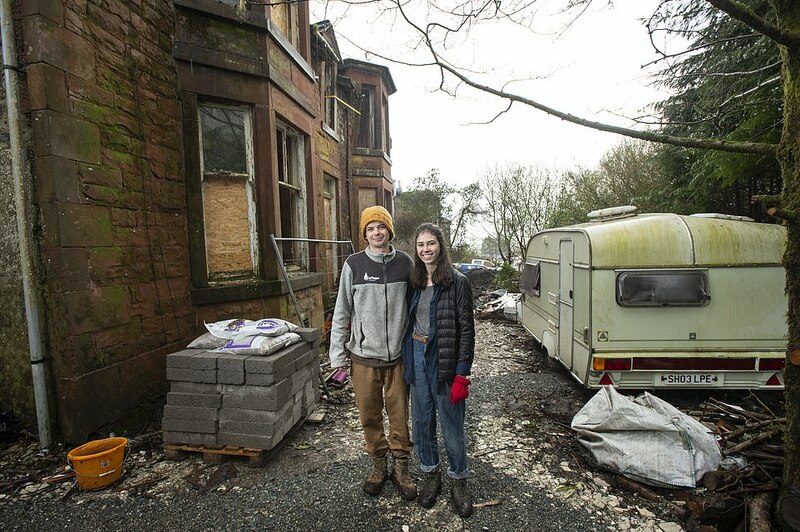 Claire had planned to study medicine at Glasgow University but decided to take a year out and refurbish a property because she couldn't afford the increased fees for international students. 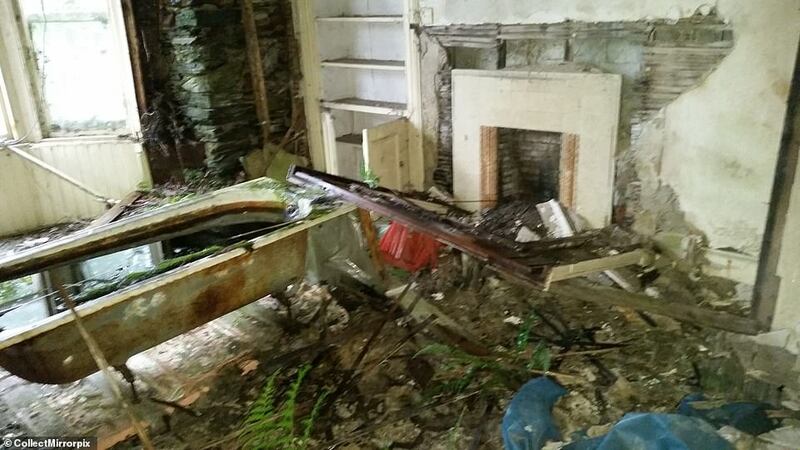 She said a 'full-blown' property restoration wasn't what the couple had in mind but they are determined to 'see the project through' after starting it. She explained the couple are doing as much work as they can with help from their friends but there are some jobs that are proving to be 'too big'. Claire is working full-time on the restoration while Cal delegates his time between the house and the carpentry jobs he is doing to fund the restoration. Jameswood Villa has been left empty for 20 years. Drainage issues left its land waterlogged, which led to serious structural problems caused by subsidence. The couple have set up a blag, ‘WhathaveweDunoon?’ where they have been given advice and support from residents of Dunoon.